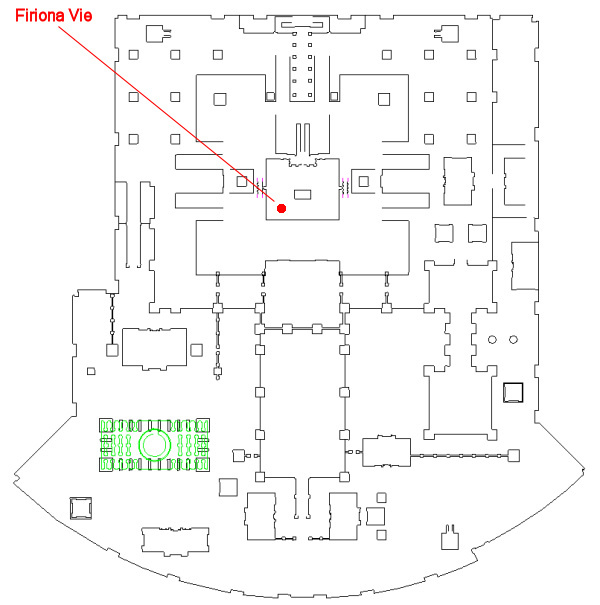 This solo task begins with Firiona Vie (click for map image) in Katta Castrum: Deluge. She's found in the southwestern part of the temple's main floor. Say "speak" to request the task. Firiona Vie looks up as you approach, taken out of deep thought. '_____, I still do not know where Al`Kabor is. Before the [beam] struck the dome, he had been reading the [books] in the city and wandering the streets, visiting portals. Since our journey began, he has seemed [troubled], and his agitation grew when we descended into the sea. You have been assigned the task 'The Absent Scholar'. Firiona has asked Al`Kabor to keep the staff of the Lifeguide safe, but she does not know where he went. Now you must search Katta Castrum for clues. 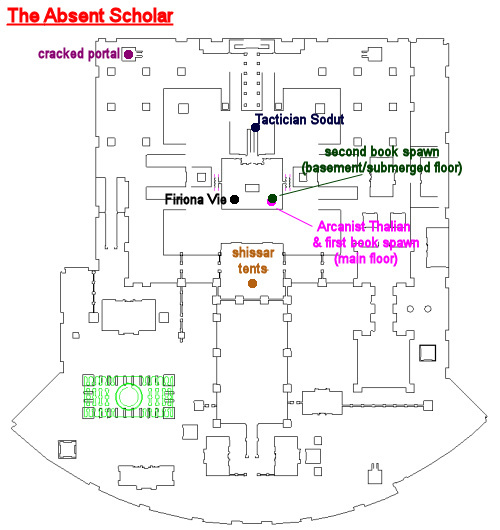 Arcanist Thalian (click for map image) is in the southeastern part of the same room as Firiona Vie. The book "A History of Portal Travel" is a ground spawn right next to Arcanist Thalian. 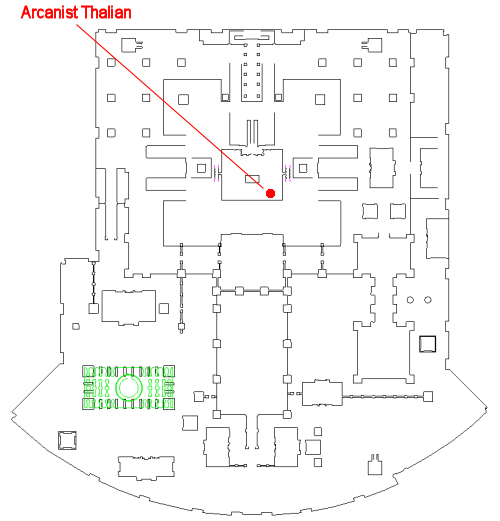 Head to the basement of the temple (accessed down the ramps off either side of the room in which Arcanist Thalian is located). The book "Of Dreams and the Mind" is a ground spawn on top of the southeastern-most table in the submerged basement. Head Mage Antius calls out to you as you enter the main hall. 'I hear you are searching for Al`Kabor. He has not been seen in here since he left the temple days before the dome cracked. Tactician Sodut might know more. 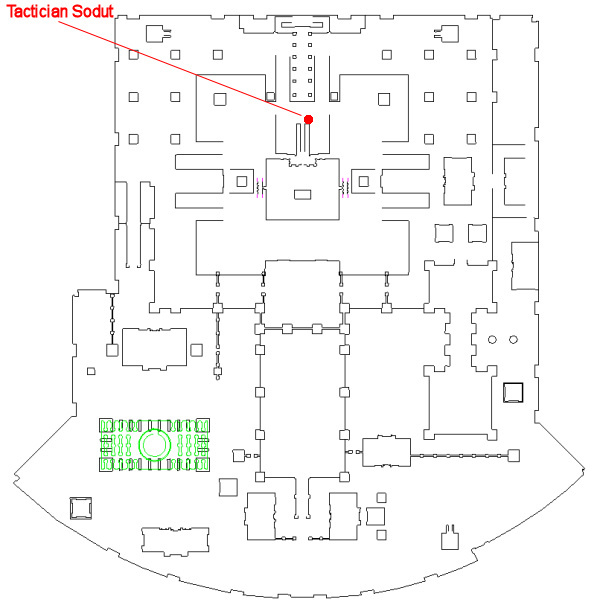 Tactician Sodut (click for map image) is found at /loc 265, -15, 1 (just down the ramp extending out of the temple). Kill any eight shissar mobs. For the "clues", go to the shissar tents due south of the main temple (same area as Overlord Salazin) - Find "Al`Kabor's Journal" as a ground spawn on top of a crate in one of the south tents. You'll see a portal in one of the stone gazebos northwest of the temple. Approach it. You see a cracked portal with writing scrawled next to it. The message is written in another cipher, and you copy the letters. If you go to the basement and the book is not on the table try relogging and it should pop up onto the top of the table.